There’s a rather large problem with the notion that China is the main beneficiary of the just-concluded America presidential election. There’s no evidence thus far that the Chinese leadership thinks so. Indeed, just as the results of Donald Trump’s stunning victory are still being digested and debated in the United States, something of the same sort of searching about seems to be occurring here in China. While President Xi Jinping made the obligatory phone call to his soon-to-be counterpart in Washington, he’s made no public speeches or statements about the American election. China’s Foreign Ministry spokesman had a boilerplate response to the results the day that those became official. Neither reaction is surprising, but they’re revealing. Meanwhile, Chinese state media is currently all over the place when it comes to the choice made by the American electorate. Television news broadcasts here have focused primarily on what they see as the chaotic and corrupt process by which leaders are elected in the United States, as well as accounts about various protests in the aftermath of Trump’s victory. Otherwise, there’s reluctance to adopt a particular line. In one instance, a noted American expert on US-China relations was interviewed about the impact of the presidential elections on ties between Beijing and Washington, but only his comments about why Trump was elected were run for broadcast. If the Chinese leadership had made any hard and fast conclusions, there would have been a different result in that editing. Social media has been lit up by various posts, to be sure, but that’s to be expected; Chinese citizen cyberspace is active and interesting anyway, though it almost always reflects individual views rather than speaking for Chinese officials. And Chinese society is far too diverse to have personal comments to be seen as somehow representative of the nation as a whole—an error all too often made by some analysts outside China who pull and pick at various postings that support preconceptions about “what Chinese think”. 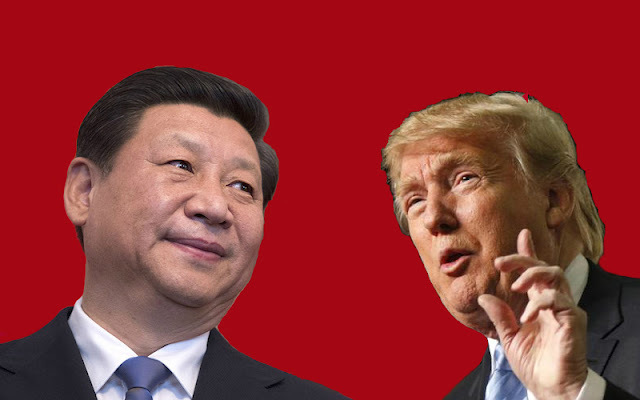 Interviews with local residents reveal that there may well be distinct notions in urban areas here about what Trump’s election actually means for China, as opposed to those who haven’t been all that attentive. Most importantly—and most revealingly--State media has been cautious, careful and largely quiet. Communist party newspapers, which always reveal and reflect debates and deliberations about major issues, haven’t taken on Trump’s election with any consistency, preferring to largely run carefully selected reports from international media. Those outtakes might reflect an emerging view out of Beijing, but we’ll only know that in hindsight. There’s a lot of useful analysis out there, to be sure (an excellent list of links has been compiled here). It’s good that some international commentators have talked about what Trump’s election might mean for relations and the region. It’s certainly crucial to consider scenarios about Beijing’s reactions. And a few analysts are rightly concerned about the implications of Trump’s ascension to the American presidency where trade and economic challenges are concerned. But its nonetheless a bit baffling as to why far too many others have jumped to conclusions about what Xi, his comrades and his advisers, see as the implications of the American presidential election for Sino-American relations—especially why they would be gleeful. How can these commentaries possibly know such information, given the closed nature of China’s political system? What sources do they have? Where are their references to Chinese media--that is where such views are usually found? How is that many of those writing about Chinese views are themselves based outside of China, and don’t have access to even the Chinese street here to make such determinations, never mind Chinese officials? Who speaks for “China” anyway? What’s likely happening here is the all-too-usual projection of preconceptions about what China’s leaders and Chinese citizens should think into conclusions about what China’s leaders and Chinese citizens actually do believe. Just as we’ve seen analysts assuming that Beijing is fully behind far-reaching financial reforms when the party media hardly ever refers to anything of the kind, the same sort of tendency for others to speak for China seems to be happening here. That isn’t happenstance; it’s hubris. One would have hoped that the recent American presidential election would have caused some pause and ponder before they spoke about what people really think. Apparently at least where China and especially the Chinese leadership are concerned, that was too much to hope for. Haha. Trump has surrounded himself with Bush-era Asia people. They are all China hardliners.